The Position of Mars is very important when judging a horoscope for marriage. Mars whose nature is fire is also the planet of energy, strength, power and aggression. When Mars is badly placed in a horoscope or associated with malefic the forces of Mars push the individual towards competition, arguments, conflicts and even violence. Mars is known as the God of War in many eastern and western scriptures. It can make a person insensitive, materialistic and if the malefic influence on Mars are strong then even violent and a criminal. Mars can make accidents, violent actions and even Murder. The strength of Mars is enormous, its malefic influence can be disastrous. That is the reason that during marriages in India, special significance is given to horoscope matching or Kundali Milan and importantly emphasis is given to the planet Mars. Placement of Mars in the 1st House, 4th house, 7th house, 8th house and 12th house from Natal as well as from Moon forms what is commonly known as Mangal Dosha, Manglik Dosha or Kuja Dosha. You may read more about manglik dosha and its impact when being in different houses on AstrologyMag.com, but here I’m giving some strong remedies that should be done if Mars is placed in any of the above houses. If there are obstacles in your marriage and Marital life is not smooth the below given remedies will bring you lot of respite from the malefic influence of Mars. These remedies can be done by both Males and Females and it will bring results very quickly. For this Lagna Mars is the lord of the first and the 8th house. Overall Mars is benefic by nature if unaffiliated, especially in a female horoscope it is good for overall marital life. Conjunction of Moon and Jupiter with Mars is especially beneficial for marital bliss. Mars is the lord of 7th and 12th house. Overall it will not give very good results and can give bad results if heavily afflicted. Aries sign being in the 12th house, Mars will become a functional Malefic for Taurus Lagna. Mangal dosha formed in this horoscope will give bad results as Venus and Jupiter are also malefic by nature in this horoscope. 2. Offer Prasad to Lord Hanumaan Ji on Tuesday and distribute it. For Gemini Lagna Mars is the lord of 6th and 11th house therefore it is malefic by nature. 1. 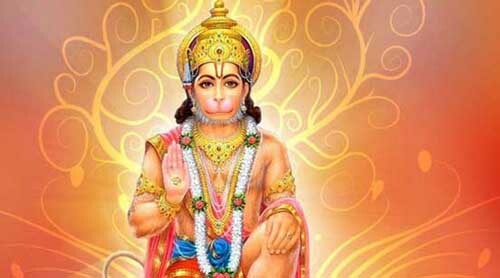 Read Hanuman Chalisa daily. For Cancer Lagana Mars is the Yogakarka planet since it is the lord of the 5th and the 10th house which is a trikona and Kendra house. Mars is the Yogakarka planet being the lord of 4th and 9th lord which is the Kendra and trikona house. Mars will earn lot of money through his own initiative. 3. Give Red Colored Silver Bangles to your wife and let your wife wear it. For Virgo Lagna , Mars is malefic being the lord of the 3rd and 8th house. As Aries falls in the 8th house Mars is the Most Malefic planet for this Lagna. 3. In Silver Bangle (kada), engrave copper RAM and wear it. Mars is the lord of 2nd and 7th house which are termed as Marakastanas. Mars is the lagna lord and lord of the 6th house. Mars is the lord of 5th house trokona and also the 12th house where its own Rashi Scorpio is there. Mars is the lord of the 4th and 11th house. 1. Offer “Sindoor Ka Chola” to Lord Hanumaan Ji on Tuesdays. 3. Give Sweet Chapati to dogs occasionally. Mars is the 3rd and 10th house lord, hence will bring in mixed results. Mars is the lord of 2nd and 9th house. 4. Offer food to Monkeys.